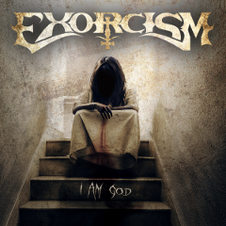 Heavy Doom outfit EXORCISM will release their debut album "I Am God" through GoldenCore Records/ZYX Music on April 25th 2014 in Europe and the USA. EXORCISM is a super group of metal veterans who have been making plenty of waves over the years and came together to form a brand new band. 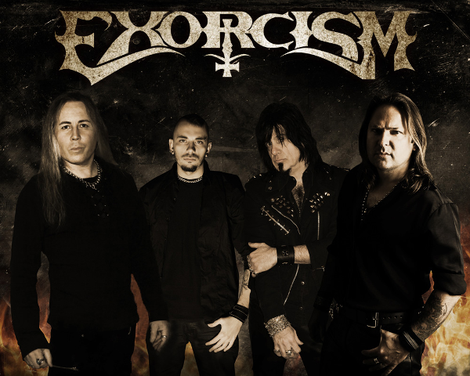 The members are Csaba Zvekan (Raven Lord, Zvekan, ex Killing Machine) on Vocals, Joe "Shredlord" Stump (Raven Lord, Holy Hell, Reign Of Terror) on Guitars, Lucio Manca (Raven Lord, Solid Vision) on Bass and Garry King (Joe Lynn Turner, Jeff Beck, Achillea) on Drums. The music is doomy and lush with dark themed lyrics and melodies that could haunt you for life. Carefully selected and the most finest 10 songs have been recorded for this album, including "Last Rock'N Roll" which is dedicated to Toni Martorell Borràs. It sure will not make you disappoint. Produced, mixed and mastered by Csaba Zvekan at Total Master Sound Studios, Balearic Islands, Spain.